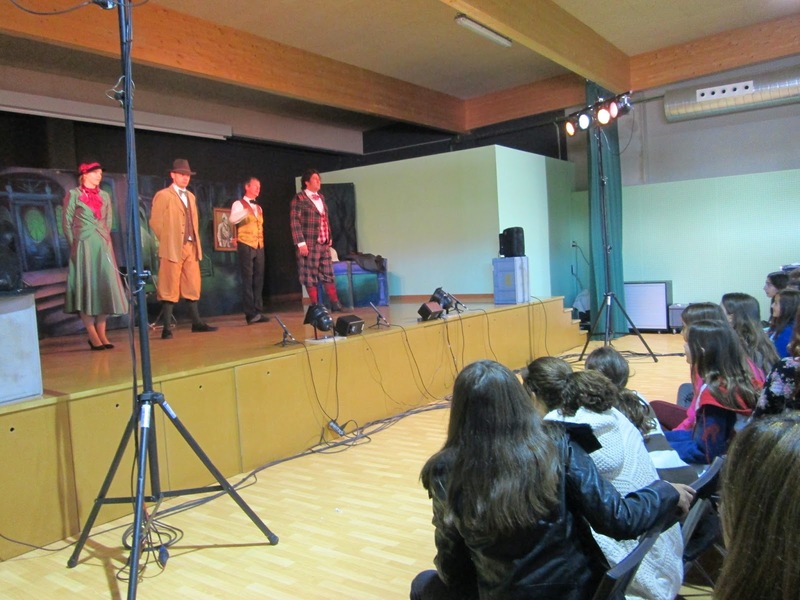 Last Friday 7th November all secondary students went to see an English theatre play in the big hall in our school. The play is called Sherlock and it’s based on the novel The Hound of the Baskervilles written by Arthur Conan Doyle. Sherlock Holmes and his friend and assistant Watson need to solve the case of a series of murders that are taking place near Baskerville Hall. A hound seems to be the cause of these murders but it turns out that it isn’t the dog. During the play the actors sing songs and there are a lot of funny scenes and jokes. We enjoyed the play and it was a good opportunity for us to have English theatre with English actors in our own school.